VGA, DVI, HDMI. What they are and how they differ. VGA stands for Video Graphics Array and is the most common connector for analog video on computer equipment and various electronics with an analog video output. VGA carries a RGB (red-green-blue) signal and is also referred to as D-Sub due to its’ 15-pin connector. 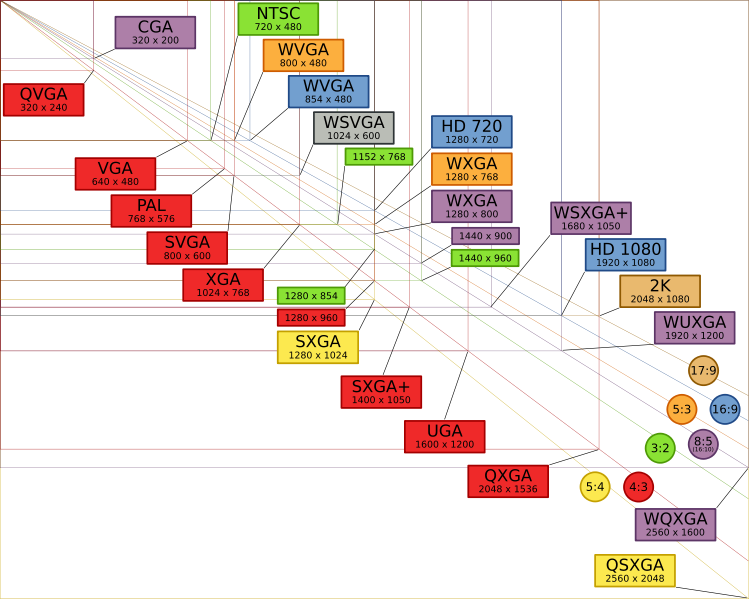 The term “VGA” also refers to the VGA strandard graphics resolution – 640×480 pixels. 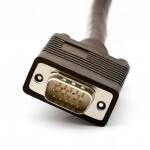 The VGA connector, unlike DVI or HDMI does not carry a digital video signal. DVI stands for Digital Visual Interface and is a digital video format used on most modern computer monitors. It is forward compatible with HDMI video in digital mode and fully compatible with VGA video in analog mode. The DVI connector carries both a digital and analog video signal. It is of rectangular form and comes in a variety of flavors dependant on its pin layout. DVI-I (Single Link) Integrated digital and analog signals. DVI-I (Dual Link) Integrated digital and analog signals. 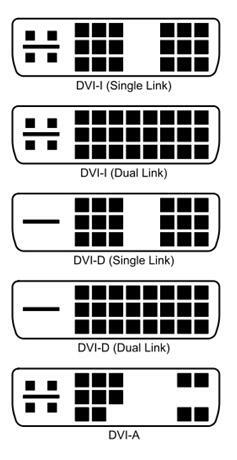 DVI-D (Single Link) Digital signal only. Incompatible with VGA. Digital signal only. Incompatible with VGA. DVI-A Analog signal only. Backwards compatible with VGA. Incompatible with HDMI. 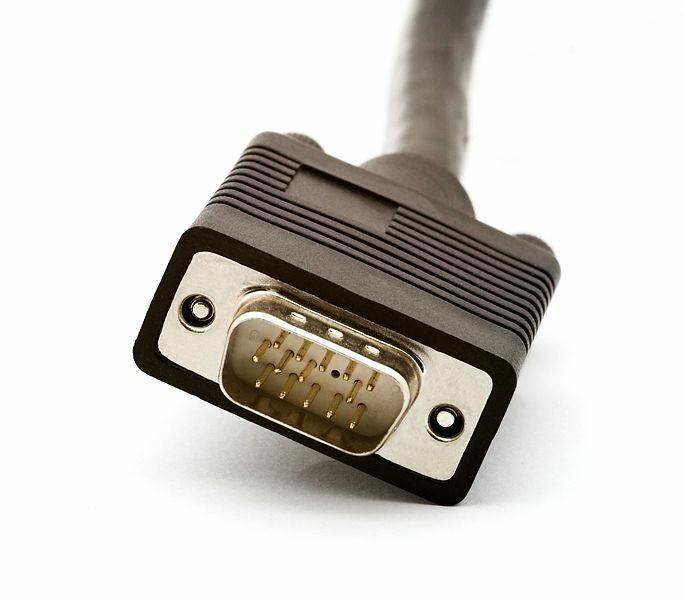 HDMI, or High-Definition Multimedia Interface, is a commonly used connector on consumer high-definition video equipment, such as plasma TVs and DVD players. HDMI carries a video and audio signal along one cable and has support for content protection. HDMI video is backward-compatible with any digital DVI signal, meaning that a DVI signal can easily be converted into HDMI and vice-versa. This section will explain how to convert a VGA signal to DVI, a DVI signal to VGA, a DVI signal to HDMI, a HDMI signal to DVI, a VGA signal to HDMI, and a HDMI signal to VGA. VGA, being an analog signal, can only be converted to an analog DVI signal. 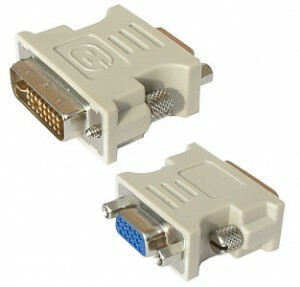 This includes DVI-A and DVI-I, with only the analog pins being used on the DVI-I connector in the conversion proccess. A simple adapter can be used to convert VGA to DVI. Since HDMI is essentially a digital DVI signal with an audio feed and support for content protection packaged in one cable, HDMI can easily be converted to DVI as long as no content protection is enabled on the HDMI device. Of course, when converting HDMI to DVI or vice-versa, only the video signal is carried over. An inexpensive adapter (pictured) is used to convert the signal. VGA is purely an analog video signal, while HDMI is 100% digital. This alone makes both video formats incompatible with each-other. Some sort of analog to digital (ADC) or digital to analog (DAC) converter must be used in order to interface VGA with HDMI. One such product is the Atlona AT-HD500. 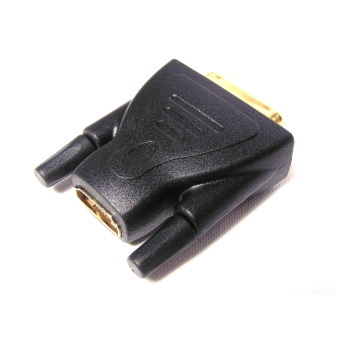 While there are several similar products on the market to convert VGA to HDMI, all of them are costly and do not produce the same quality as a pure HDMI or VGA connection would give to the user. If you are looking to connect your VGA video card to your HD TV via HDMI, it is suggested that you invest in a video card with direct digital DVI or HDMI interfaces, as this is the cheapest and best way to display the video from your computer on a TV.